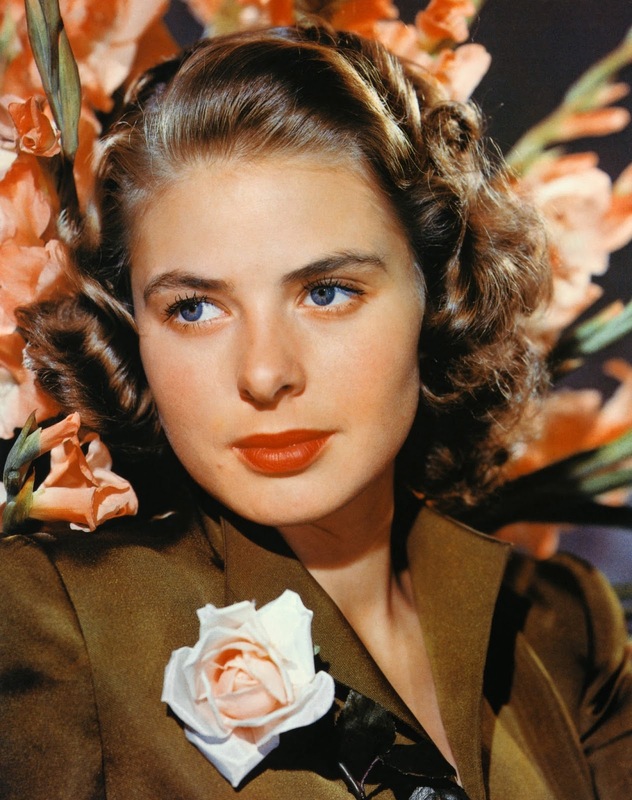 Ingrid Bergman's birthday was this past Friday; she would've been 99 years old! In an era in which movie stars' hairlines & skin tones were overhauled, their faces caked in makeup and their personal lives stolen, Ingrid went her own way. Upon arriving in Hollywood, she refused to change her name to something more WASP-y, pluck her eyebrows or wear the pounds of makeup most stars did. Her rejection of the standard "star-ification" of actresses at the time lead to her nickname, The Nordic Natural. Her strong will sometimes landed her in trouble with the public, (keyword: Roberto Rossellini) but in the end, she lived the life she wanted. Ingrid's look still feels so modern and fresh today because her makeup was comfortable and true to her. 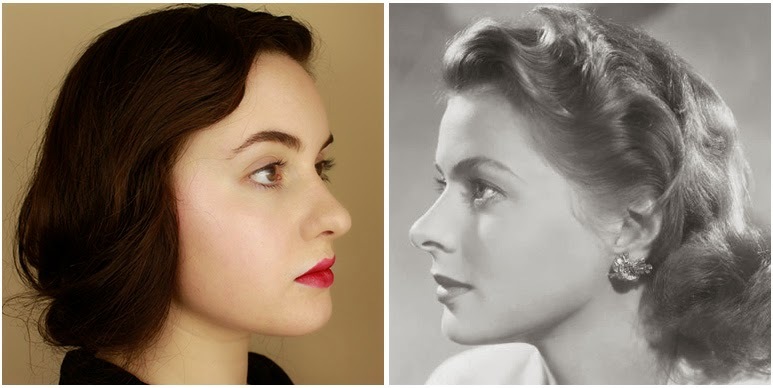 Though it's clear by looking at most of her photos that she's wearing some makeup, hardly any of it is obvious except for the red lip (a beauty standard in the 40's that even a natural like Ingrid couldn't avoid). That pop of a lip color, plus some beautifully done-yet-undone hair, creates a simultaneously glamorous and down-to-earth aesthetic that's incredibly wearable. I remember being around 15 years old and still feeling very much like an awkward & chubby pre-teen. One night my family had dinner with some friends we hadn't seen in a while, and one of them couldn't get over how grown-up I looked. She turned to my father and remarked on how much I looked like Ingrid Bergman. If I hadn't been interested in classic films before that, I certainly was afterwards. I was so happy that I had been compared to someone universally considered beautiful. My father still calls me "Ingrid" from time to time. 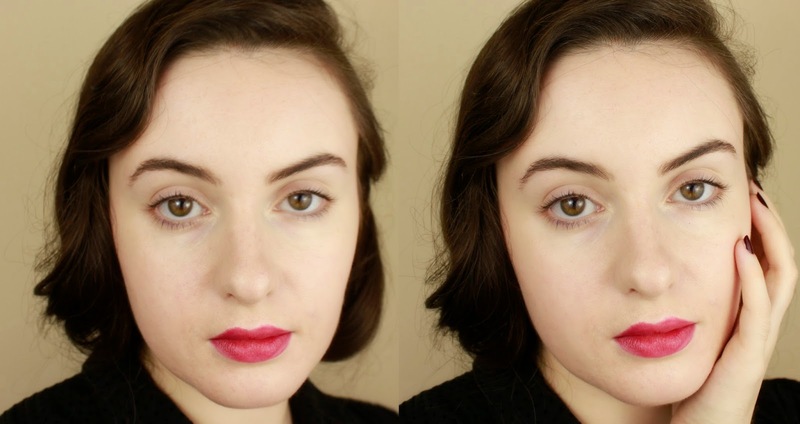 For this look, aside from a flattering red shade of lipstick, the makeup is up to you! Do whatever fits your face, and whatever makes you feel most confident in the shortest amount of time. For me, that means covering blemishes & redness on my face, brushing through my brows with a touch of pencil and curling lashes. I applied just a touch of mascara but kept it at the roots to make it as fresh and un-made up as possible. If you've got great skin, you can probably curl your lashes, pop on your lip color and go take on the world! 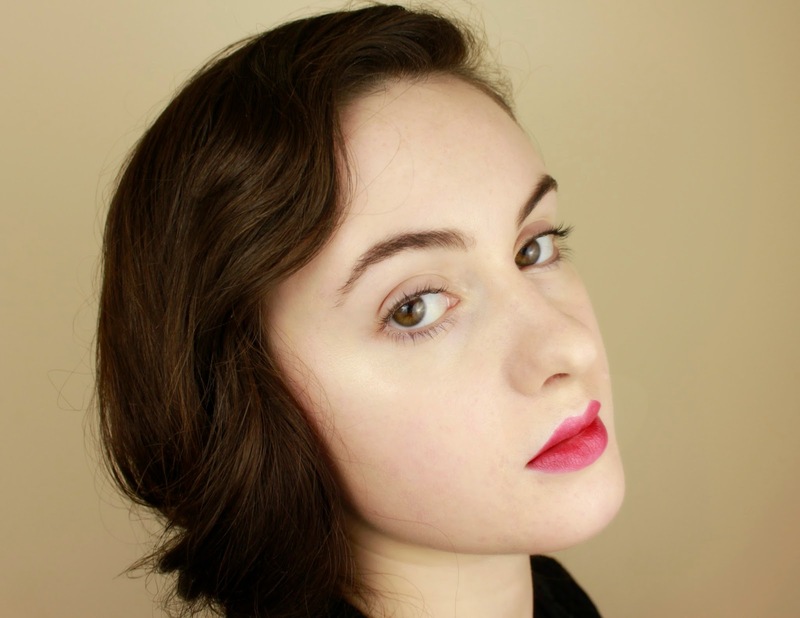 I think this might be my shortest product list yet, so that just goes to show: a red lip just pulls everything together. The key in keeping my skin dewy yet not looking like an oil slick is using highlighter in the right places, and mattifying the rest of the skin. So, after applying my BB Cream & Concealer, I used a light gold highlighter on my cheekbones, inner corners of my eye, browbone and cupid's bow; I then used Tarte's powder down my forehead & nose. I followed the tutorial here for a "faux-bob;" didn't hold the curl as nice as I'd have liked, but it was fun to have short hair again for an hour or two. For day-to-day, follow Ingrid's style of curling and then brushing through to keep the hair polished yet touchable. Thanks for reading; hope you'll take advantage of the impending autumn weather to rock some richly colored lips like I plan to. And tell me: who's your favorite classic Hollywood star?